Ferrari’s Styling Centre has built a bespoke track-only “Hero Car” inspired by the 1960s Ferrari 330 P3 and Dino 206 S.
What do you get when Ferrari’s in-house Styling Centre and it's engineering and aerodynamics team collaborate using the underpinnings of the 488? The answer is the P80/C – a one-off, track-only supercar, inspired by the legendary 330 P3. Back in 2015, the Ferrari team undertook the initial design phase using their track-only version of the 488 GTB, the 488 GT3, as a base. This first step included redesigning the bodywork which included binning the standard 488’s headlights, nose-cone, engine cover, wings and aero, and substituting them with hand-crafted replacements. To be honest, it's a stretch to see the resemblance to the 330 P3 but the P80/C is undoubtedly striking. There is no rear windscreen covering the engine and transmission, instead, an aluminium louvre (similar to the LeMans racer version of the 60s) sits in place inbetween a huge rear spoiler and another, much smaller one attached to the rear of the cabin. There's very little bodywork out back, allowing much of the powerplant to be visible through the intricate rear diffuser. 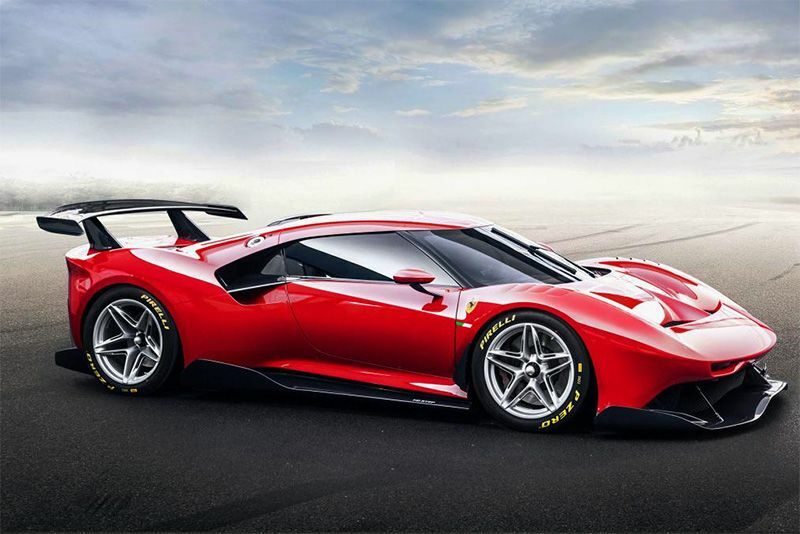 As expected, there are no performance figures just yet but, because there are no FIA-imposed performance restrictors, we suspect the 488 GT3s 3.9-litre twin-turbocharged V8 could produce more power than the 661bhp 488 GTB to the two sets of centre-lock alloy wheels the buyer has specified. The interior includes very little besides a race-spec steering wheel, carbon fibre panelling only where required, and two rather bright blue carbon fibre-backed Alcantara race seats. There's a digital instrument binnacle ahead of the driver and a roll cage for safety but everything else, from carpets to door handles, have been removed. As this is a one-off from Ferrari, we won't be told what the price for this beautiful machine is but, as other bespoke models from Maranello have sold for almost £9million, we expect the P80/C to be in a similar ballpark.